Are you planning on starting a career as a peace officer? Then you may need to take the POST Entry‐Level Law Enforcement Test Battery (also known as the PELLETB Test). Where to Take the PELLETB? As stipulated in Commission Regulation 1951, all peace officers must have the reading and writing abilities necessary to perform the job of peace officer, as assessed by a professionally developed exam. The PELLETB is an aptitude test specifically designed to measure the skills needed to work successfully as a peace officer in the state of California. Many agencies and academies view a high score on the PELLETB as a sign of preparedness for a law enforcement career. Established in 1959, the Commission on Peace Officer Standards and Training (POST) was created by the California state legislature to set a minimum threshold for selection and training of law enforcement officers. Over 600 agencies now participate in this voluntary program (which is wholly funded by criminal fines and traffic fines). In 1976, POST recognized the importance of a proficiency exam to assess the basic language skills for all entry-level law enforcement positions. The PELLETB was soon developed to standardize the reading and writing abilities necessary to perform the role of a peace officer. The test length is 2 hours and 30 minutes and uses multiple-choice and fill-in-the-blank style questions. The PELLETB examines three different components (writing, reading and reasoning), and each has various sub-categories. Let’s take a look at each in greater depth. This section involves a total of 45 multiple‐choice questions across three different areas. You will be given two sentences and must select which one is the most clear and correctly composed. This may involve common writing errors such as run-on sentences, fragments, misplaced modifiers and unclear references. (A) The officer wanted to get a new patrol car, one with more horsepower and greater capabilities. (B) The officer wanted to get a new patrol car. One with more horsepower and greater capabilities. Explanation: (B) is less clear because the second sentence is a fragment. You will be provided with a sentence where a word has been omitted. Four different spellings of the same word will be offered below it. You’ll need to choose the correct spelling according to the context. His ______________ of the primary suspect had been incomplete. This presents a sentence where one word has been underlined or capitalized. From a multiple-choice list, you must identify which word is the most accurate definition or synonym. The suspect CONTRADICTED the witnesses' story. Explanation: "disputed" means argued or debated about something; "agreed with" means to affirm; "verified" means proved to be true; "probed" means to question or investigate. You will encounter various passages, each ranging in length from one paragraph to one page. Once you have read the text carefully, you’ll answer multiple-choice questions that demonstrate you fully understand the content of the passage. Community policing has become far more common within the last decade. The model of community policing prioritizes serving the public and crime prevention as the key objectives for today's police forces. This includes close involvement with citizens to highlight issues which are vital to the public interest, rather than merely solving crimes and boosting conviction statistics. 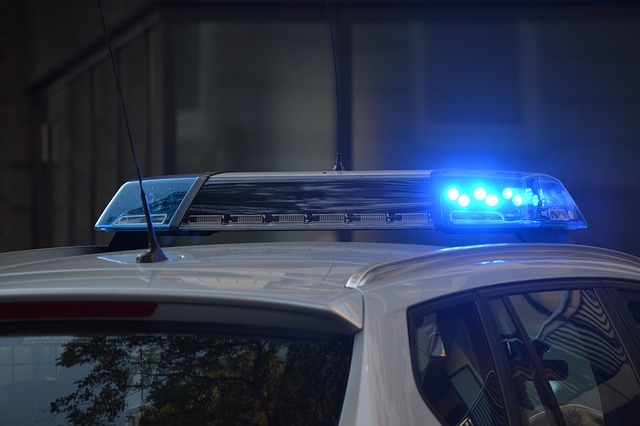 Patrol officers are asked to spend fewer hours in their vehicles talking with their fellow officers while devoting more time in the actual community speaking with citizens. Advocates for this policing strategy claim that tackling the issues which cause crime will make the police force more efficient and also improve general support within the community. The concept of community policing, if implemented properly, can offer the advantages of preventing more crimes and significantly improving relations with the community. Of course, community policing does not offer a complete solution for eliminating all sources of crime, but it will provide important opportunities to lower crime rates and boost police force popularity. In reference to this passage, which statement is the most accurate? (A) The use of the community policing model is guaranteed to raise the arrest rates achieved by patrol officers. (B) Crime levels are expected to drop via the strategy of community policing. (C) Community policing has not been developed to reduce crime. (D) The model of community policing puts more responsibility for decision-making upon members of the general public. Explanation: (A) is wrong because community policing isn’t designed to increase arrest rates, but instead "prioritizes serving the public and crime prevention as the key objective for today's police forces". Answer (C) is wrong because community policing is intended to reduce crime. Unlike regular policing methods, though, this will occur via preventing the causes of crime, not fighting crime itself. Answer (D) is wrong because decision‐making is not placed upon members of the public. Instead, community policing desires "close involvement with citizens to highlight issues which are vital to the public interest". Here you'll find a written passage in which many words have been left blank. A dashed line is used to replace a single missing word (which can be inferred from the context). Each dash in the line also represents a single letter in the missing word. Your task is to fill in the blanks by deducing the correct word according to the context, syntax and meaning of the passage. All words will need to come from your own vocabulary; none will be supplied to you. Sometimes there can be several correct replacement words and at other times, only one word will be considered correct. When multiple different words can be correctly used as a replacement, you’ll receive credit if the word matches the context appropriately. Many kinds of people are involved in the juvenile criminal justice system. Consider the following example. Jane was 12 years old on the first occasion she (1) _ _ _ arrested. Jane had lots of friends (2) _ _ school. During the period (3) _ _ her initial arrest, a teacher verifies (4)_ _ _ _ she was a very diligent (5) _ _ _ _ _ and achieved top grades. In fact, Jane had a great attitude toward (6)_ _ _ _ _ _. Jane resided with her father and mother in (7)_ _ affluent community. Correct answers: (1) was; (2) in; (3) of; (4) that; (5) pupil; (6) school; (7) an. This section uses a multiple-choice format to measure your reasoning skills. 16 multiple choice questions are presented, each involving a sequence of numbers, letters, words or facts. You will need to analyze and discover relationships, patterns or commonalities within the sequence that allow you to answer questions about the information/data/facts presented. Witness A stayed outside the bar for several minutes more than Witness B. Witness C stayed outside the bar for several minutes less than Witness B. Which witness stayed outside the bar for the longest time interval? Explanation: Witness A stayed outside the bar for several minutes more than Witness B, and Witness B spent several minutes more outside the bar than Witness C; thus, of all the witnesses, Witness A spent the longest interval outside the bar. Explanation: Ford, Mercedes and Audi are all vehicle manufacturers; Alaska is a state, so it is the odd one out. Explanation: The sequence counts down from 20, so the correct next entry would be the number 15. The raw scores of the test (number of correct answers) are electronically scanned, statistically analyzed and calculated to produce a standardized “T-score”. The T-score compares your test performance to other test-takers, producing a midpoint score of 50 (where most results tend to fall), with a standard deviation of 10. T-scores achieving near the 50 mark are deemed to be “average” when compared to other candidates. Lower than 40 is viewed as being “below average”. Higher than 60 is considered “above average”. To increase your chances of successfully completing your academy training, you must achieve a T-score of 42 or higher. How Long Are Scores Considered Valid? When you apply for a job at a department that uses the PELLETB test, they will provide you with a letter that informs you of your T-score results. Test scores are valid for life and this letter can be repeatedly submitted when applying to different departments in the future. However, the acceptance of this letter, as well as all policy regarding test expiry dates, is wholly at the discretion of each department. Some departments may ask you to retake the test. Don’t worry – you can take the test again after 30 days have passed (this applies even if taking the exam again via another agency or department). Your test results will be invalid, however, if you retake the PELLETB sooner than 30 days have elapsed. The test is free, but you can only take it in paper-and-pencil format. Only POST-authorized law enforcement agencies can give the exam within California. You must contact a participating agency to inquire if they currently administer the exam and when or where it is due to be scheduled. General reading and writing skills take a long time to develop, and will only be enhanced significantly through constant practice. Community colleges have assessment centers that can help you identify any existing weaknesses in your language skills; they will also guide you on what actions you can take to remedy those faults. Clarity – Study should greatly improve your score here. This subtest requires the capacity to identify clear and unclear sentences based on common writing faults. All the writing faults in this section involve modification, vague or indefinite references, run-on sentences and sentence fragments. If you carefully review language rules regarding these faults, your test score should improve noticeably. Vocabulary – Try to spend plenty of time reading and writing every day, perhaps setting time aside especially for the purpose. But don’t attempt to learn long lists of isolated words. Instead, just become familiar with the English language through active and constant use, particularly through reading books or newspapers for prolonged periods. If you don’t recognize a word in the test, attempt to understand the context instead, deducing the most likely meaning from the way it appears within the overall sentence. You should also check for subtle differences between words; sometimes more than one word could fit the answer, so you should try to find differences to determine which word is the most correct. Spelling – There is no single list of words to study for this section, although all words used here are likely to appear in real police reports. The best approach is simply to become familiar with some of the general rules that standardize the spelling of words. The most important spelling rules are those which govern prefixes, suffixes, plural forms of nouns and the “i and e rule”. Reading comprehension – Before reading the passage in this sub-test, first look at the question and multiple-choice answers. Then, when you start reading the passage, keep the question and possible answers firmly in mind. Always read the question thoroughly, ensuring that you do not misread. It is also vital not to let your personal opinions or knowledge on the subject interfere with your answers in this section; high scores will come solely from the information contained in the passage. Now you have become familiar with the PELLETB, including the requirements, format and content, this knowledge should help curtail any anxiety you might feel about taking the test. POST provides helpful FAQs on their official website. The POST study guide (free) includes real exam covers, as well as PELLETB test prep questions and answers. JobTestPrep has a concise overview of the test structure. See also our article on Criticall tests.